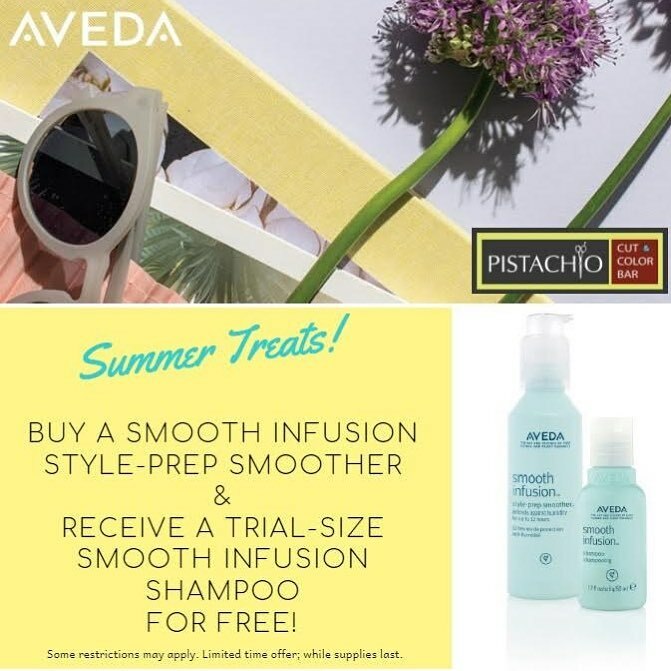 Defend against humidity for up to 12 hours this summer with AVEDA’s Smooth Infusion Style Prep. A blend of organic aloe, maize, and guar bean helps to smooth the hair and protect against surface damage from heat styling. It’s the perfect time to stock up at Pistachio!